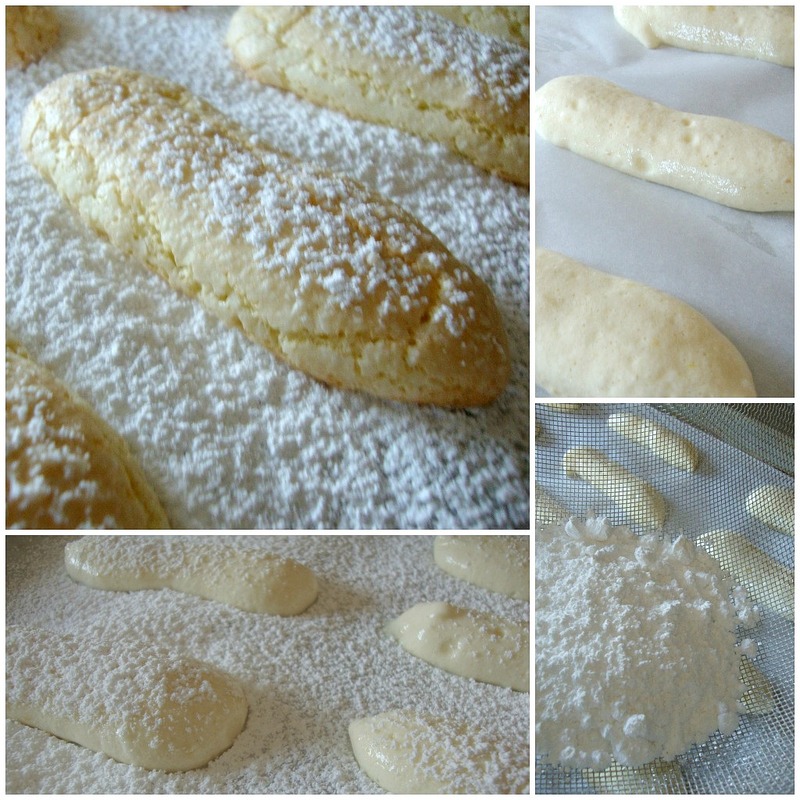 Ladyfingers are light mini sponge cakes shaped like large fingers. I used to think that whoever coined the name probably thinks the baker is a lady or if it's a male baking then it is his tribute to his lady but aren't they huge for a lady's fingers? But of course, you only have to Google it and you will know how they came to be. Anyway, enough of my silly banter. Ladyfingers have regional names and are called differently all over the world but I'm more familiar of course with ladyfingers or the Italian name savoiardi. I noticed that these are not always available everywhere but you will surely find them in Asian or Filipino stores where they are packed in tin cans and called Broas. These mini sponge cakes are eaten plain but they are also used in making trifles, "tiramisu" or charlottes. Like other sponge cakes, ladyfingers contain no leavening agent and it relies on the air incorporated into the batter as the eggs are folded into flour for the lift they need- pretty much like angel food cake except that the yolks are incorporated into the mix. I normally use all-purpose flour to make ladyfingers but this time I used the recipe for my sponge cake with strawberry filling from way back and they turned out even better. Line two baking sheets with parchment paper-set aside. Separate the eggs. As you can see, one yolk was broken but at least the poor thing made it into the other bowl and didn't ruin the whites. Take note that the whites should not have even the tiniest speck of yolk. Transfer the egg yolks into the bowl of the standup mixer with paddle attached. Add the sugar then beat until pale and smooth- about 8 minutes. You may want to pause and scrape the sides and the bottom with a spatula to make sure the sugar is evenly dissolved. Meanwhile, place the egg whites in a clean bowl on a stand up mixer with wire whip attachment and whip until foamy. Add the cream of tartar and continue whipping until soft peaks form. Gradually add the caster sugar until stiff peaks form and the whites become glossy. Now it's time to fold but do it in three increments to ensure even distribution. Mix only until incorporated. When done piping, sift powdered sugar over the tops of the cookies. This gives the cookies a nice soft crust. Let sit for a couple of minutes then do another powdered sugar shower on the cookies before placing the pan inside the oven. Bake for 8 to 10 minutes (making sure to rotate the pan halfway through baking) or until the ladyfingers are firm but barely browned and still spongy when lightly pressed with a finger. 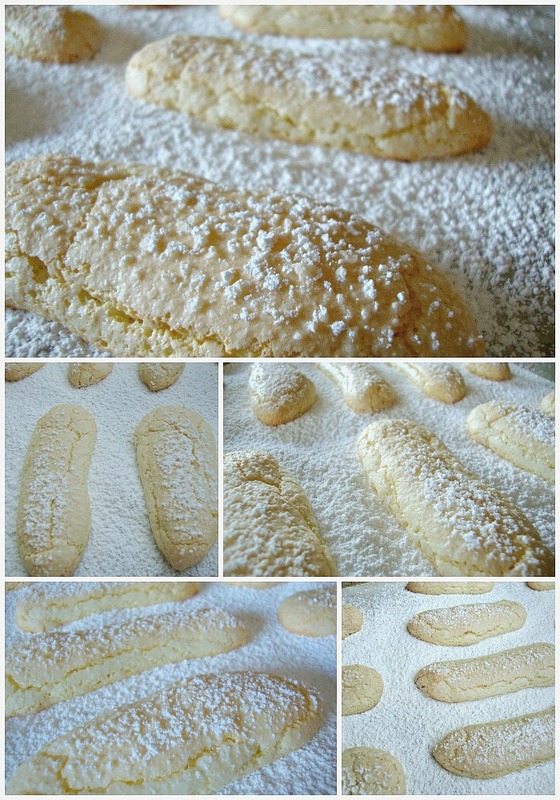 There you go - Savoiardi or Ladyfingers from scratch! I even made round ones with "charlotte" in mind. I may have to postpone the "tiramisu". We'll see which one inspires me more.